The Morris M-42 was designed following the introduction and immediate success of the M-36. 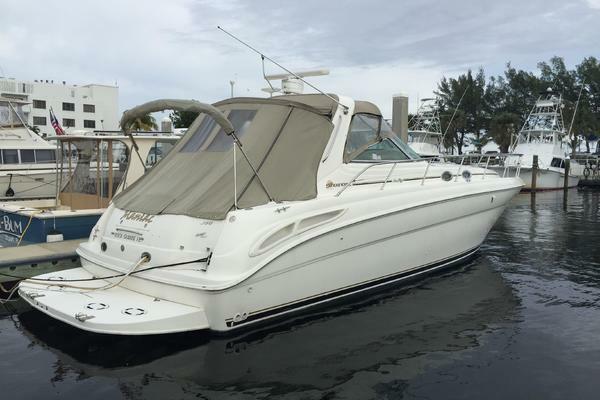 The M-42 gives owners standing headroom below and a layout that is conducive to cruising. Meanwhile the design characteristics follow the same rational of being very simple to sail, beautiful to look at, and most importantly….fun! 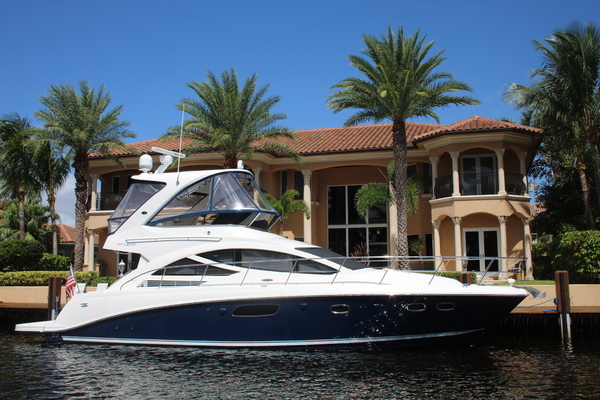 Sweet Lucy features a Leisurefurl Boom, a bowthruster and has been professionally maintained. Manually consolidated composite hull with Vinylester resin and vacuum bagged Core-Cell core. Manually consolidated composite deck and superstructure with Vinylester resin and Core-Cell core. Quarter sawn teak decking on cockpit sole. Varnished teak toe rail and coaming cap. Butterfly hatch clad with teak and finished with gloss varnish. All sheets, main halyard, jib furling line, main furling line, and vang control lines are led below deck to rope clutches and electric winches located at control pods in the cockpit within easy reach of the helmsperson. Forward of the control pods are spacious port and starboard cockpit seats. The seats are over six feet in length and comfortably suitable for seating six adults or taking a nap. Hatches on all three cockpit seats allow access to below-decks storage Varnished teak drop leaf table permanently fixed to the cockpit sole (with cover). Teak foot block below cockpit table. Teak foot block for helmsman. Varnished teak steering wheel . Varnished teak on coaming cap. Dodger with ss bows and aft welded handrail and removable side handrails. Small bimini at the helm with folding bows. Two sets of saloon style removable companionway doors (solid and screens). Custom companionway opening with varnished teak vertical slides and three drop board (each drop board and slide is lined with brass channel). Yanmar 3JH4E x SD Saildrive unit, 39HP FWC marine diesel engine. Flex-O-Fold 16” three blade propeller (upgrade). Yanmar engine mount pan – fiberglass. Faria gauges with SS bezels. Audible alarms for cooling water, high temperature, low lube oil pressure, and Saildrive water flow. Morse single lever throttle located on the pedestal. Yanmar spares kit and service manual. 40-gallon aluminum fuel tank w/SS deck fill. A comfortable, spacious interior with full standing headroom, finished in classic Herreshoff style with antique white bulkheads and gloss varnished cherry joinery. Interior cushions are covered with UltraLeather. Interior pillows and shams made by Chesapeake Yacht Interiors and the cabin top is finished with painted wood sheathing. Teak cockpit sole with gloss varnish. The port and starboard settees are designed for comfortable lounging or sleeping. The cherry drop-leaf table incorporates liquor storage and invites gracious dining. A modern “butterfly-style” hatch above the dining table and eight large fixed portlights provide great natural lighting and ventilation. Twin end tables with storage lockers below and lockers with shelves outboard are built in at the forward end of the settees. A hanging locker forward of the head and lockers outboard at the forward and aft end of the settees provide additional storage. Open shelves outboard at the center point of the settees provide space for books, etc. The forward cabin provides a queen size berth, and two large drop fronts to access the space under the berth. A large overhead hatch and two 4” SS dorade vents provide great natural light and ventilation. A custom anchor design was used for ventilation through locker doors. Isotherm top loading 12VDC refrigerator with stainless steel liner and wire basket. Drop down door below stove. Custom shelving and dividers to maximize storage space. Mirror-polished stainless steel sink with chrome single lever mixer faucet. Located aft to port opposite the galley. Corian counter top with SS sink and single lever faucet. Mirror with frame on forward bulkhead. ICOM IC-M422 waterproof VHF Radio w/ additional cockpit-mounted Command Microphone. Raymarine ST60 displays for speed, depth and wind mounted in the seahood. Raymarine C80 color radar/chart plotter display (helm) with 2KW dome. Raymarine AIS receiver interfaced with C80 display. Raymarine ST6001 S1G Autopilot w/gyro compass core pack. Alpine AM/FM stereo receiver and CD player with two six inch speakers in main salon and two waterproof speakers in the cockpit. Aquasignal tri-color masthead light & combo steaming/deck flood light. 110V shore power system with (4) outlets, SS power inlet, and 50ft x 30 amp cord. Espar D4 Airtronic diesel heater with three vents. Marine Air 10,000 BTU air conditioner. ShurFlo pressure water system pump. 6 gallon SS water heater plumbed to engine heat exchanger and 110VAC. 20-gallon Polyethylene waste holding tank with gravity drain to seacock for overboard discharge. (2) Stainless steel 4” cowl vents mounted on varnished teak dorade boxes. SS foredeck and cabin top hatches. Diaphragm 12VDC bilge pump with removable strainer. Carbon fiber/epoxy rudder with carbon fiber rudderpost. Kidde Mariner 110 portable dry chemical fire extinguishers (3). Carbon fiber mast by Hall Spars. Forespar Leisurefurl in-boom mainsail furling system. Fractional rig with swept back spreaders. Schaefer 2100 manual headsail furling system. Standing rigging is Navtec stainless steel rod. Navtech integral hydraulic backstay adjuster. Running rigging is low-stretch New England Rope. Lewmar 50 CCEST electric self-tailing primary winches. Lewmar 44 CCST manual secondary winches. Delta 35 lb anchor w/150’ nylon, 30’ of chain. Anchor deployment system w/manually rotating arm and integral anchor roller in foredeck locker. Salt water wash-down system with SS spigot located in the anchor locker. Max-Power compact retractable bow thruster with joystick control at the helm. Canvas sun cover for full boat. Varnished teak flagstaff and flag. Ocean-Air Skyscreens on overhead hatches. Two piece SS folding swim ladder. Tool kit, spare bulbs & fuses.